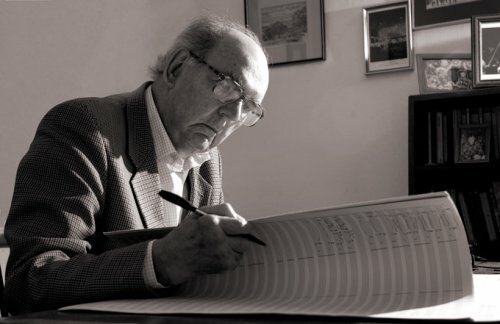 That is John Joubert writing in the notes for the new Dutton release of his Second Symphony, which, as related here, recently made an unexpected appearance in the classical charts. Born in Cape Town a white South African, Joubert moved to England in 1946 and still lives there. His Second Symphony was given its premiere in London in 1971 with Joubert conducting the London Philharmonic Orchestra and was immediately banned in South Africa by the government controlled South African Broadcasting Corporation (SABC). The ban was only lifted following the intervention of Nelson Mandela in the mid 1990s. Do not be misled by the composer's reference to African melodies. This is not a cosy folksy work, rather it is a gritty and angry statement that proudly displays its debt to Shostakovich and Walton. 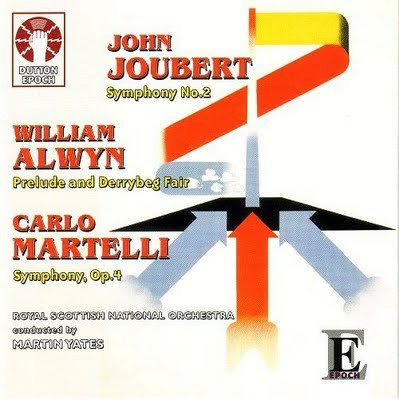 Conductor Martin Yates and the underrated Royal Scottish National Orchestra are passionate advocates of Joubert's music and the coupling includes a little known gem in the form of Carlo Martelli's Fourth Symphony. And on a disc where the planets well and truly align, the Dutton production team use the acoustic of the Henry Wood Hall in Glasgow to prove that for some the sound does still matter. 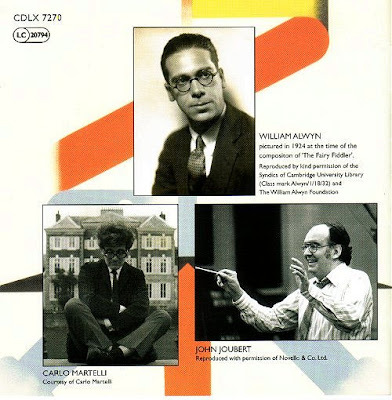 Elsewhere in his note John Joubert, seen above, explains that inspiration for the Second Symphony came from Alan Paton's Cry the Beloved Country. This novel, which was written shortly before apartheid was implemented in South Africa, is a protest against the attitudes that institutionalised racism. Cry the Beloved Country was banned by South Africa's press censors due to its subject matter; it was first published in America in 1948 and went on to sell 15 million copies before Paton's death in 1988. Plus ça change and today's news is dominated by revelations about the freedom, or lack thereof, of the press. It will be difficult for my many American readers to grasp the immense power and influence of Britain's tabloid newspapers. And it will be easy to assume that clearing out Rupert Murdoch's augean stables will be the end of the problem. Sadly that is not the case as attitudes more appropriate to South Africa in the 1960s than Britain in 2011 live on in newspapers such as Paul Dacre's Daily Mail and Richard Desmond's Daily Express. Before we gloat too much about the eclipse of News International we should consider those waiting to step into the vacuum that is being created. The king may be close to abdicating, but an heir awaits in the form of Richard Desmond, whose media interests include not only the Daily Express but also the celebrity magazine OK! the Channel 5 TV station and a slew of adult TV channels. And there has been a strange absence of discussion about how the BBC stands to benefit from the collapse of Murdoch's British empire. As the current revelations are revealing, our police, media and political leaders not only failed to stop the News International virus, they helped spread it. Exposing the rot was left to a few courageous individual activists, notably Labour MPs Tom Watson and Chris Bryant and Guardian journalist Nick Davies. An Overgrown Path reader recently lamented the disappearance of musicians with a conscience. In fact they are still around. But, just as with other activists, you need to look outside the commercial intermediary complex to find them. Take a bow John Joubert, Dutton and all those involved in this brave and inspiring new CD. Dutton Epoch CD of John Joubert's Second Symphony was supplied as a requested review sample. Any copyrighted material on these pages is included as "fair use", for the purpose of study, review or critical analysis only, and will be removed at the request of copyright owner(s). Report broken links, missing images and errors to - overgrownpath at hotmail dot co dot uk Also on Facebook and Twitter. V1.1 20/7 Augean stables correction. Fascinating background, Pliable. With thoughts of Shostakovich's 11th and the powerful motivation of Sharpeville for Joubert, I began to wonder if there is a corollary American work. Nothing comes to mind as yet. Susan, if I was David Cameron I would say it was an intentionally mixed metaphor and blame it on Andy Coulson. But, thankfully, I am not. So I will admit it was a stupid mistake by me. Thanks for pointing it out and a correction has now been made. Yours, pedantically? - not at all. After watching the House Select Committee hearing yesterday we definitely need more pedants.